Nomadenseele hatte es ja bereits im Posting „Mittelmaß bis Patch 3.1“ angedeutet, auf WoWInsider ist ein interessantes Posting entstanden, das ich jetzt einfach mal hier übernehme, da es im Großen und Ganzen eben genau das wiederspiegelt, was ich versucht habe zu verdeutlichen. Damit möchte ich das Thema „Probleme des Holy-Priesters“ auch erstmal abschließen. Schaun wir was Patch 3.0.8 in der Realität für uns bedeuten wird. Yesterday, Ghostcrawler got into a discussion with some Priests on the Healing forum. It’s in a thread that started out pretty negative, but unfortunately reflected an opinion rippling its way through the Priest ‚community.‘ Many (not all, not nearly) Priest players are getting sort of grumpy about their Healing role, and that’s not actually a new sentiment. It’s been sort of an everpresent issue since well before Wrath. Priests don’t feel they have a role. They sort of exist, without any clear purpose. The issue that came up is that a number of Priests think Blizzard is down on them, they’re subpar, the devs don’t care, blah blah blah. Ghostcrawler is of the opinion that Priests are actually pretty great (not said in those words) and I gotta be honest, I agree with him on that. On all things? No. On that? Yes. Priests are very, very capable Healers. But capability is not actually the issue at all! It’s an issue much harder to pinpoint. Priests, when you look at their spells as a whole product and don’t get hung up on any one ability in particular, work great. It’s a well rounded class, and operates very well on its own. Holy Priests are great healers, and there’s really no situation where they’re completely helpless. I am not sure what the phrase „healing dynamo“ means exactly, but for some reason that pops into my head when I think of Holy Priests, so it’s probably a good thing. The fact that Holy Priests are so well-rounded means that in situations where only one Healer is needed (such as 5-man groups), Priests are fantastic. They have all of the tools required to excel in that format. There’s not really a single boss that can give them a lot of trouble. All of the Healing classes have the tools required to get them through 5-man dungeons and Heroics, but Paladins, Shaman and Druids all have encounters that really trip them up. Priests rarely have this problem. 5-mans are kind of their playground. They utterly dominate. Problems start coming up when you increase the number of characters in play. Things start shifting from who has the most tools to „Who will heal the tank?“ and „Who will heal the DPS?“ In bigger raids. You stop looking for versatility and start looking for who’s the best at what job. Priests have Renew, but they’re not the Healer you look for when you want HoTs for your 25-man. Priests are strong single target healers, but Paladins are the best in that role. Priests carved their niche in the raid healing department with Circle of Healing, right alongside Resto Shaman. Despite that, I think we all need to admit that Circle of Healing was pretty cheesy and something had to change with it, like is happening in patch 3.0.8. Grandma casts her gaze upon you. Moment of truth. „What about you, dear?“ she asks. „Oh! The whole family, wonderful! What do you heal?“ she presses the subject, much to your irritation. „Ah,“ she says, and goes no further. There’s a brief, awkward silence. It only lasts a few seconds, but it feels like an eternity. And it’s all downhill from there. That is the Priest’s Christmas dinner. It’s a blow to the ego. So… Priests are sort of in limbo as far as nichedom goes. This doesn’t mean they’re not wanted in raids, not a chance. They’re still a great, great option for 10-man raids, and they’re still fantastic Healers in 25-man raids. The issue is that you fill your niche roles first, and plug in the Priest(s) second. Well, assuming you’re building a raid from scratch and not just taking your guild somewhere. That’s a different situation. Again, this is a problem more or less exclusive to 25-man raids. 5s and 10s aren’t at all an issue. So, let’s pretend we all agree that the Circle of Healing nerf was called for. Even if you don’t think so, let’s play along for a moment. What can be done to give Priests that raid niche they need? There are a lot of possibilities, but let’s stay simple. Prayer of Healing could become a cross-party smart heal, for one. If you tuned the numbers to neither overshadow nor be overshadowed by Chain Heal, it could even play out to be a pretty decent rotation when combined with the new Circle of Healing on AOE heavy fights. Prayer of Healing, Prayer of Healing, Circle of Healing, Repeat. It’s not an ideal playstyle, but mashing two buttons is infinitely more fun than mashing one like before. The more complicated solution is to find a new niche for the class. Jack of all Trades is the name of the game right now, and the ‚master of none‘ bit comes with that territory. All of the current trades already have their masters, so if you don’t want to start unneeded competition, start another trade. Discipline is the closest we get to that, and Discipline has come a really long way in Wrath of the Lich King, but in practice it’s not really going to work out. The emphasis on the shields still encroaches on the ’single target healing‘ niche, because you’re not just slinging shields. Your single target healing is supported by your shields, and not vice versa. If that were the case, it would be a pretty new way of Healing, but it isn’t and I don’t know if that’s possible while keeping a game like World of Warcraft balanced. If absorption was that powerful, PvP would be absurd and it might cause issues with other healers. It would take a whole lot of fine tuning, but really, what doesn’t in WoW? Another alternative would be to take the ‚utility healer‘ thing and run with it. Take concepts like Power Infusion and build upon them. Make Priests the Healer class that empowers their allies in very direct, active ways. Give them the ability to empower one of your DPS enough to justify bringing a Healer that doesn’t match the raw healing power of the other Healers. If you can boost a Mage’s DPS by 25% (I pulled that number out of my rear) by pairing them up with a Priest, you’re suddenly going to have people begging and pleading for you to bring a Priest on your raid. Using the Hymns concept to experiment with this would be interesting, I think. Multiple high-strength cooldowns, but they share a cooldown. You empower a caster, or another healer, or… you get the picture. Make it a choice. This also givees Priests something with a limited stackability factor, which is needed. Is that large of a shift possible for the class? Maybe, but probably not something you’d see in a patch one day. It’s all just a pipedream. My goal in all of this is just to fuel a little conversation on the topic. Those are things that I think would help the issue of Priests having no niche. I might think my ideas are awesome, but that doesn’t mean it would fix the problem, and the problem may not even be a problem in practice, just in theory. We’ll see what happens, won’t we? What are your thoughts? Again, let me make it clear that I don’t think Priests are a bad class. They’re pretty awesome. They’ve always been awesome, and they always will be awesome. They perform well in raids, and they make raids go smoother than they would’ve been without one. My only goal here was to try and explain why Priests might feel down on themselves. 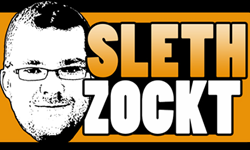 ach sleth, jetzt bin ich schon so lange stiller leser deines blogs, aber nun muss ich auch mal was zu dem thema sagen. vorrausgeschickt, ich spiele einen holypala in selben raid wie sleth. also ehrlichgesagt muss ich mich den vielen comments in deinem beitrag weiter unten echt anschließen. ich sehe absolut keinen grund, warum sich gerade ein priester beschweren sollte. wenn ihr wollt könnt ihr alles heilen, egal ob tank oder raid. ihr habt ein so umfangreiches arsenal an healspells (flashheal, greater heal, binding heal, renew, prayer of healing, prayer of mending, holy nova, shield und wenn geskillt peanace/coh) wie keine andere heilklasse, allenfalls der druide kommt da annähernd ran. ein raid mit 6 priestern könnte locker naxx clearen, mit 6 shammys oder druiden auch, wobei ich mir bei den letzteren nicht ganz sicher bin, weil ich mich zu wenig mit ihnen auskenne. ein raid mit 6 holypalas hingegen wird seine probleme bekommen, gerade bei encountern wie loatheb und sapphiron. wenn dann sollten sich wohl eher die holypalas aufregen, klar ich kann in den tank alle 1,6 sekunden rund 10k noncrit-heals reinpumpen, sicher ist das toll, aber dafür bin ich beim raidheal der totale versager. wir haben sowenige möglichkeiten, was healspells angeht. nen fol der viel zu wenig heilt und auch „nur“ 0,3 sekunden schneller als nen holylight ist, nen instantheal aka holyshock mit 6 sekunden cd und nen schild, was naja solala ist. wenn blizzard etwas falsch gemacht hat, dann ist es meiner meinung nach, dass sie dem priester zuviele healspells gegeben haben, ein pom z.b. würde super zum pala passen. auch sehe ich den disziplinprister ziemlich kritisch, weil er halt auch primär in richtung tankheiler geht und dadurch mit den palas konkurriert, vielleich wäre es besser gewesen den disziplinbaum strikt auf pvp auszulegen und einige dieser talente stattdeseen lieber dem pala zu geben. der fakt bleibt doch einfach, ein raid der nur priester als heiler hätte würde problemlos durch den gesamten content kommen, einer der nur holypalas hätte würde probleme bekommen. von daher sind es die palas die buffs fordern müssten. blizzard wollte die heilklassen aneinander anpassen, schön und gut, aber warum ist dann der pala weiterhin die einzige healklasse ohne einen ae-heal, ohne einen hot? 1 holypala ist sicher eine beriecherung für den raid, da er wahrscheinlich bei so ziemlich jeden kampf den tank wohl auch solo healen könnte (ausnahmen wären wohl patchwerk. sapphiron, malygos und sartharion), 2 holypalas sind auch noch ok, aber wie du ja weißt sind wir teilweise mit 3 unterwegs und da wirds dann schon ziemlich sinnlos. auch baecon of light ist nur situationsweise sinnvoll, bei fights mit nur einem tank tendiert der nutzen quasi gegen 0, ähnlich wenn man wie erwähnt viele holypalas mitnimmt. was wird denn werden, wenn in den bossfights wieder mehr ae-damage rumkommt? da sieht der pala sicher wieder alt aus, ich erinnere mich noch gut an sw-zeiten, wo man am liebsten die palas nur vor der ini stehen lassen wollte um zu exploiten und sie buffen zu lassen. und nein, ich sehe die hl-glyphe nicht als raidheal-ersatz an, auch nicht, wenn sie im nächsten patch gebufft wird, erstmal ist sie viel schwächer als nen coh (kein instantheal, nur 10% der hl-heilung, also ungefähr so 1k auf 5 ziele) und zweitens ist es kein smartheal, er sucht sich seine ziele nicht danach aus, wieviel leben ihnen fehlt. alle solche probleme kennen priester nicht und sollten sich deshalb glücklich schätzen. seid doch froh das ihr keine nische habt. ich sehe den begriff nische immer eher negativ. innerhalb seiner nische ist man top, außerhalb kann man nix, so siehts beim pala aus, warum wollen priester etwas vergleichbares haben? ich bin eher der meinung priester wollen gar keine nische, sie wollen einfach überall am besten sein und das kann ich nicht unterstützen da dann natürlich für die anderen healklassen kein raum mehr ist. und was den suppoert angeht, naja, sicher nen blessing ist nice, aber nun auch nicht so über, 10% stats kann sicher jeder gebrauchen, 109 mp5 ist schon nur noch für die manaklassen interessant und blessing of might kann dir quasi auch nen krieger mit battleshout buffen. die judgements sind im prinzip auch nur noch nen bonus gerade wo judgement of wisdom im nächsten patch doch ziemlich generft wird. das alles rechtfertigt meiner meinung nach nicht unbedingt, dass palas quasi außer tankheal nichts können. Jo das ist echt ein super Beitrag und ich kann dem auch nur Zustimmen. Ich selber kann sehr gut damit leben, dass der Priester in „nichts“ der beste Heiler ist. Gerade dass erlaubt ja gerade seine Vielseitigkeit ohne dass die Klasse overpowered ist. Eine spezifische Rolle kann man zwar leicht seiner Oma erklären, aber dafür riecht es dann halt auch nach langweiliger Fließbandarbeit. Die Utilities des Priesters aber noch ein wenig mehr zu Strukturieren evtl. über ein Set von Hymnen die man dann über Talente je nach Skillung verbessern kann ist sicher eine feine Idee. Noch cooler würde es sein wenn jeder Baum noch eine große Hymne über ein Talent bekommen würde. Diese sollten dann auch noch einen gemeinsamen Raidweiten Debuff (ala Kampfrausch) haben damit sie nicht zu mächtig werden. Man könnte sich dann aber für jeden Bosskampf überlegen welche der 3 großen Hymnen man verwenden will. vor allem im 25er Bereich könnte man so ein Utility auch sicher für innovative Bosskämpfe gut verwenden. Na am besten einfach mal abwarten as den GC und seinen Kollegen noch alles so einfallen wird. ich kann dem 2. teil auch nicht zustimmen. was die leute als argument bringen ist das alte schubladendenken aus bc. besetzt die nischen und schau was übrig ist. das ist nicht mehr das ziel von blizzard. das ziel ist, denjenigen zu bringen, der am besten spielen kann. und ich bin mir absolut sicher, dass ein gut gespielter priester jeden schlechten pala, schami oder druiden in die tasche stecken kann. diesen anspruch halte ich auch für realistisch, weil die wenigsten leute in einer absoluten topgilde spielen, in der wirklich das niveau unabhängig von der klassse absolut gleich ist. diese gilden sind aber nicht repräsentativ. Danke für die vielen guten Antworten. Ich gehe jetzt nicht auf alle ein, da letztlich schon alles gesagt wurde. Aber besonders über den Comment von Febepa freue ich mich, er ist eben der Top Pala bei uns im Raid, der mich in Grund und Boden heilt beim SingleTarget Heal. Aber ich denke das über kurz oder lang der Pala dahingehend wirklich noch den anderen Healern angeglichen wird (bzgl. AE + Hots), da Blizz ja mit den Heilern genau das selbe vor hat wie mit den Tanks. Ganz ehrlich ? Ich will als Pala keinen AOE oder Hot ! Am Ende haben dann alle alles, das kanns auch nicht sein. Ich finde die Heileraufteilung so wie sie gerade ist perfekt.